※The bus returns near the Shinjuku station at 9:00pm. 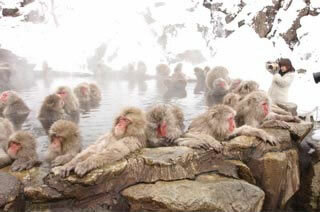 How many of you want to see snow monkeys? How many of you even knew that such fascinating creatures were so close to where you live? Take the journey north with our exciting day-long package. The list of highlights of tour! Achieve the lowest price! ! It's only $99 !!!! If you pay credit card,you would pay japanese yen. This tour containsround trip bus ticket!! No such as troublesome transfer. Bus tour that is accessible to nearby destinations!! 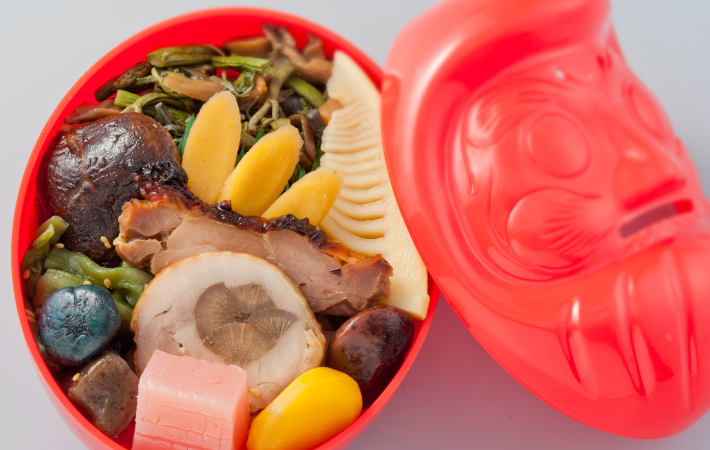 This tour includes the lunch meal "Daruma-Bento". ※Daruma Bento is japanese famouse bento. 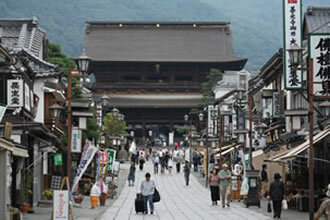 Visit zenkoji-temple that is famous and oldest temple in japan. 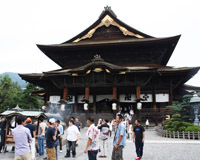 ※We have English speaking guide to explain Zenkoji Temple. Our tour guide can take a photo with your camera! 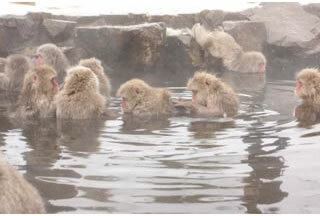 ※This tour includes the ticket for the snow monkey park. 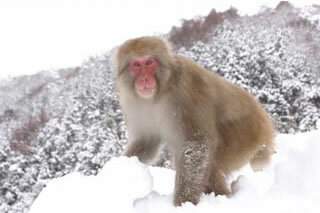 ※From the parking to the snow monkey park, we have to walk about 20 min. The road is slippy because of ice. Therefore, please bring the nice hiking shoes. The Japanese Macaque, known also as the Snow Monkey, is a native species of Japan. It is the only monkey able to survive in cold temperatures dropping to -15 degrees Celsius. These incredible animals live in the mountains of Honshu. Their most fascinating feature is their queer interest in the beautiful hot springs here. 12:00 Bus Arrives at Zenkoji Temple. Schedule may vary due to unforeseen weather conditions. Please click this link to be taken to a sample reservation page that includes English descriptions. From the Shinjuku Station West Entrance, walk about 7minutes west towards the government building. Please consult the map for specific location. The bus will leave promptly at 8:15. Whether reservation by a web has click the button which is clear writing in the upper part calendar [application]. After clicking the button at each place [your reservation], please apply. I also have reservation by telephone. Please tell to the reservation center of following mentioning.